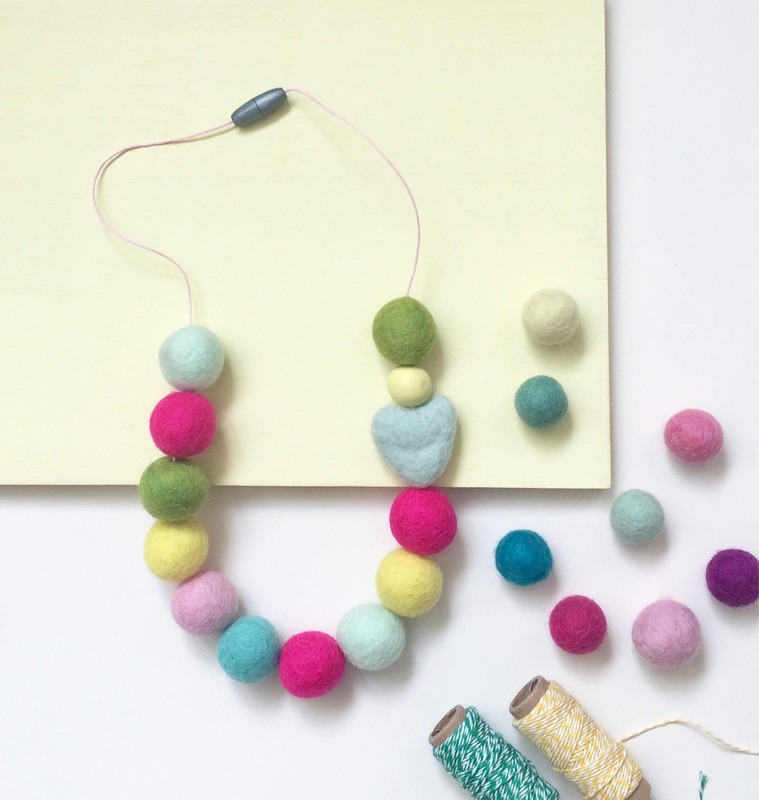 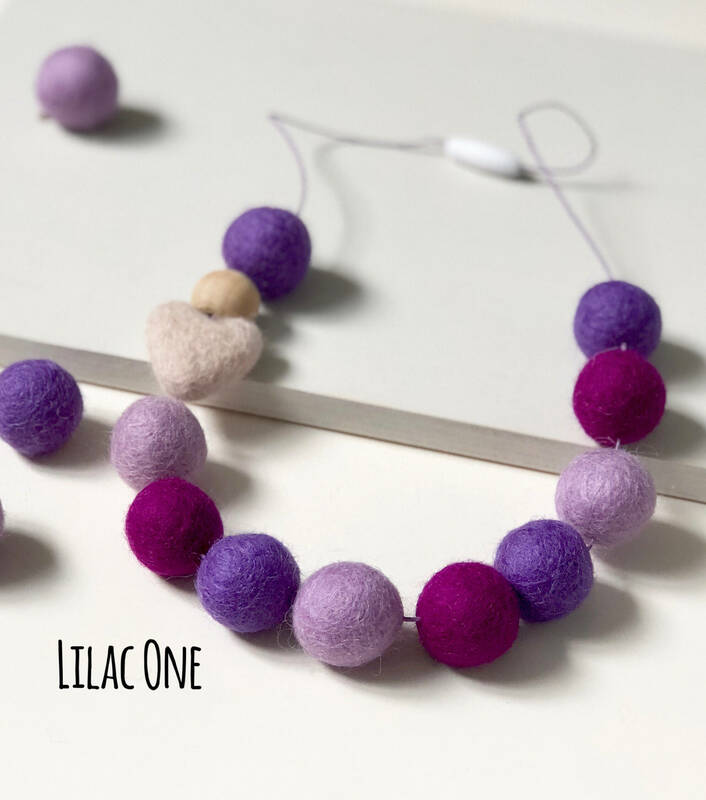 This pom pom necklace is made of soft wool felt balls with an added accent of felted heart and cute little wooden bead (colour of the wooden bead may vary depending on stock). 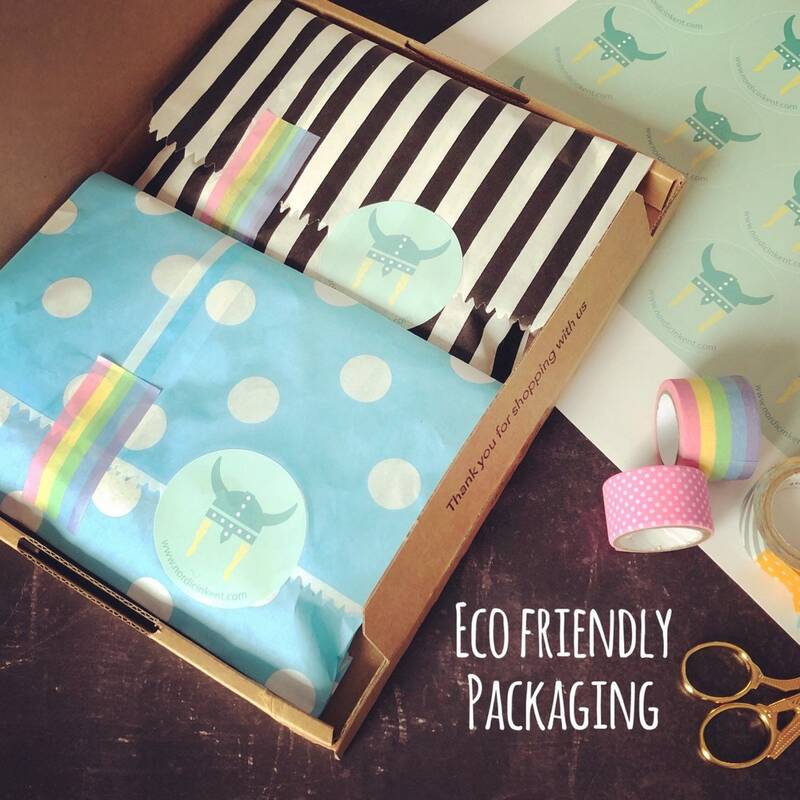 They are held together with strong, non-frey cord and with a safety breakaway clasp. 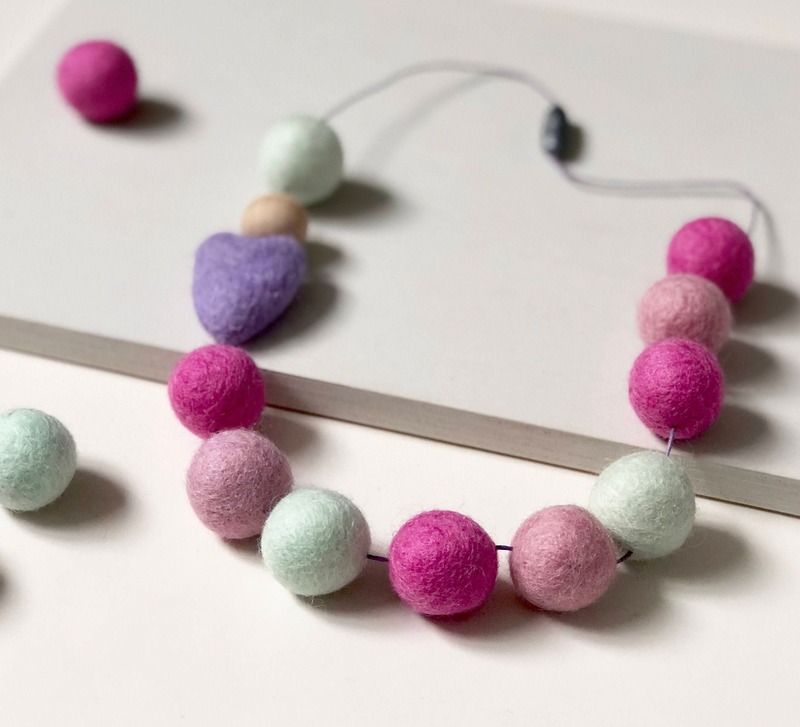 This sweet pom pom necklace would make a fun gift for someone special with a whimsical style. 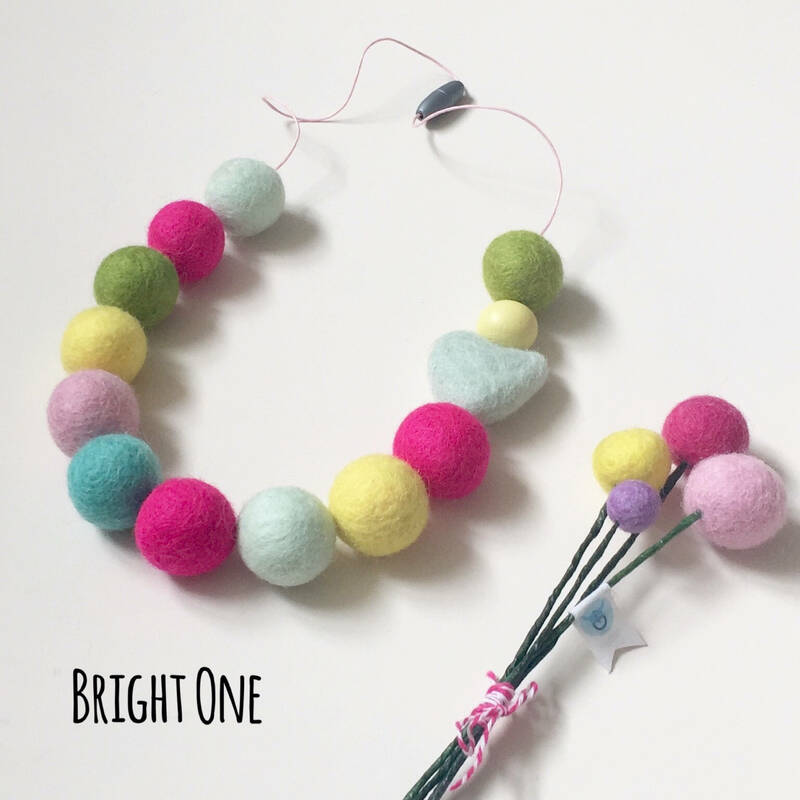 The OVERALL necklace length is 60cm/25 inches - all approximate. 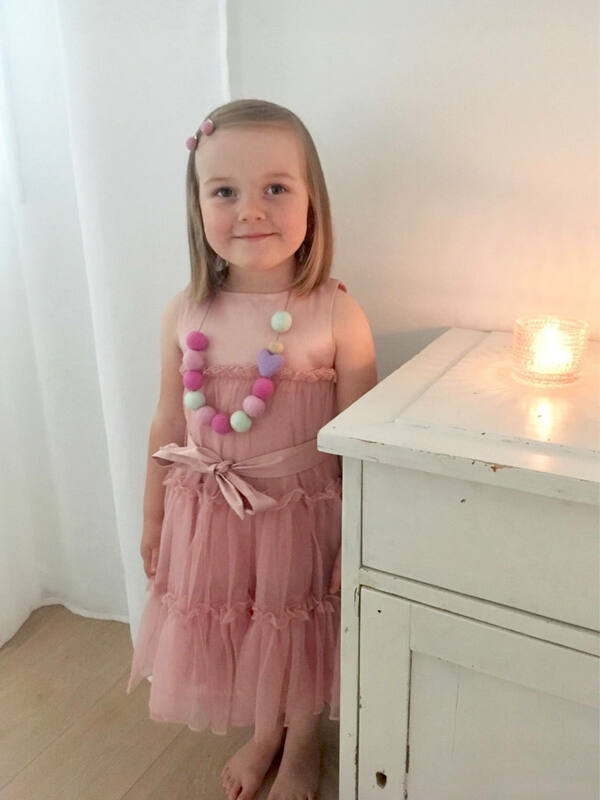 If you'd like longer or shorter length, just message me! 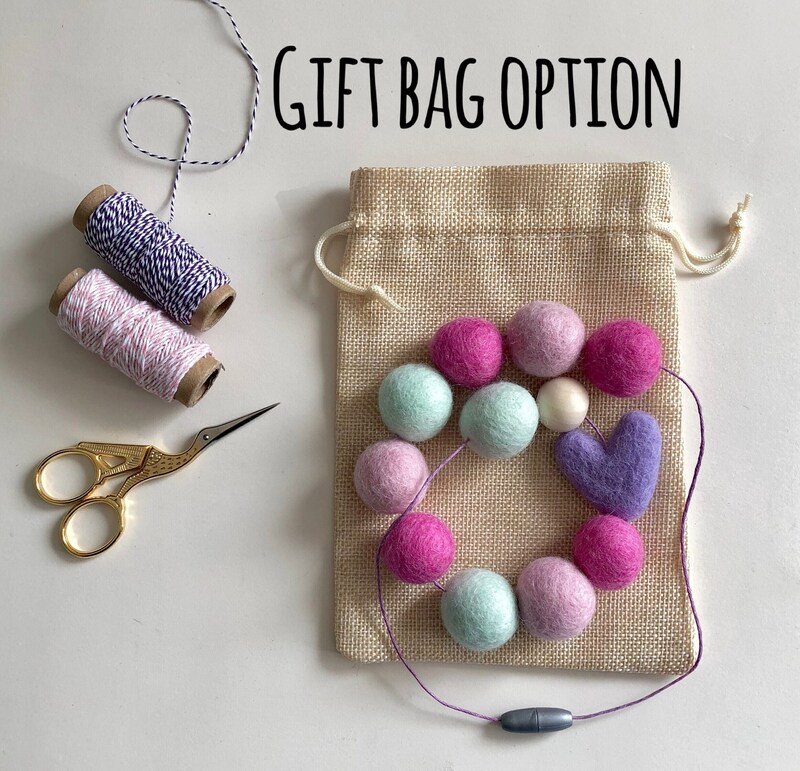 The necklace will come packed in a cheerful, fully recyclable paper bag but you also have a choice to upgrade to a smarter cotton drawstring bag. 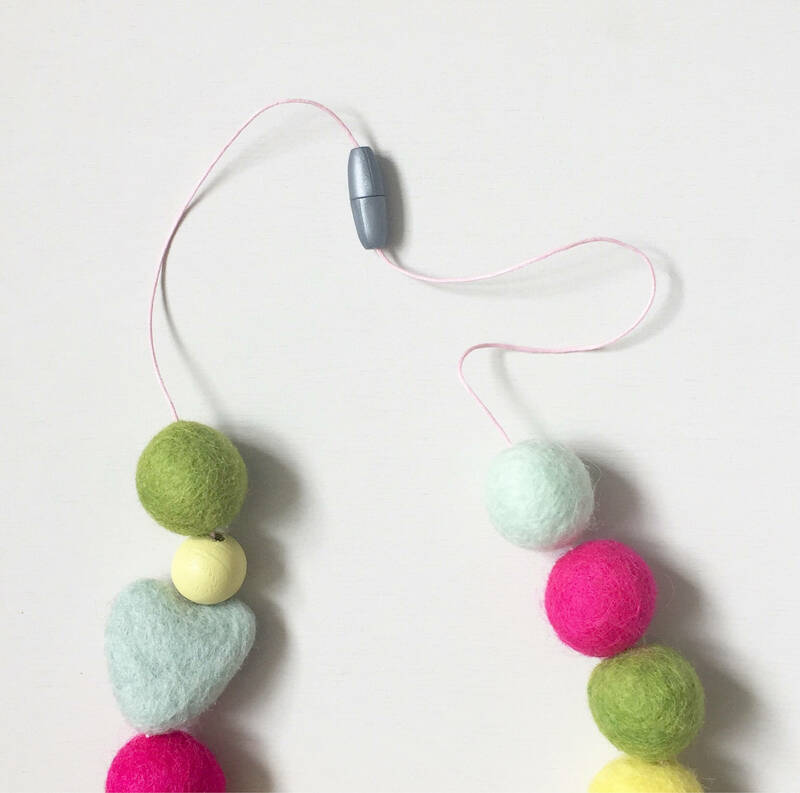 As all the felt balls and stars are handmade in Nepal and are of the highest quality, please note some very small size and/or colour variation may occur. 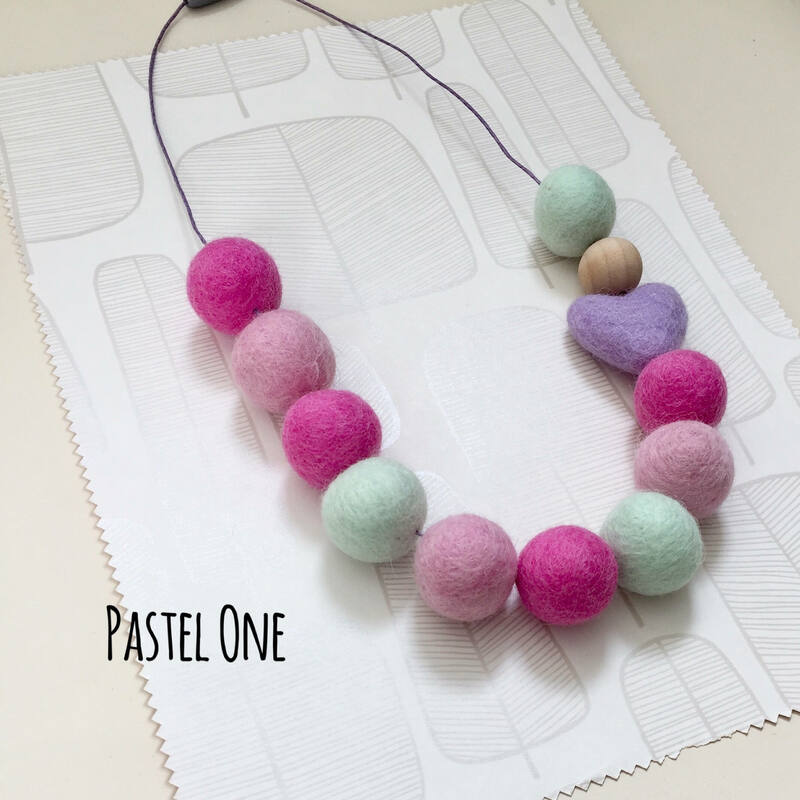 This listing is for pom pom necklace only, any props used in the pictures aren't included. 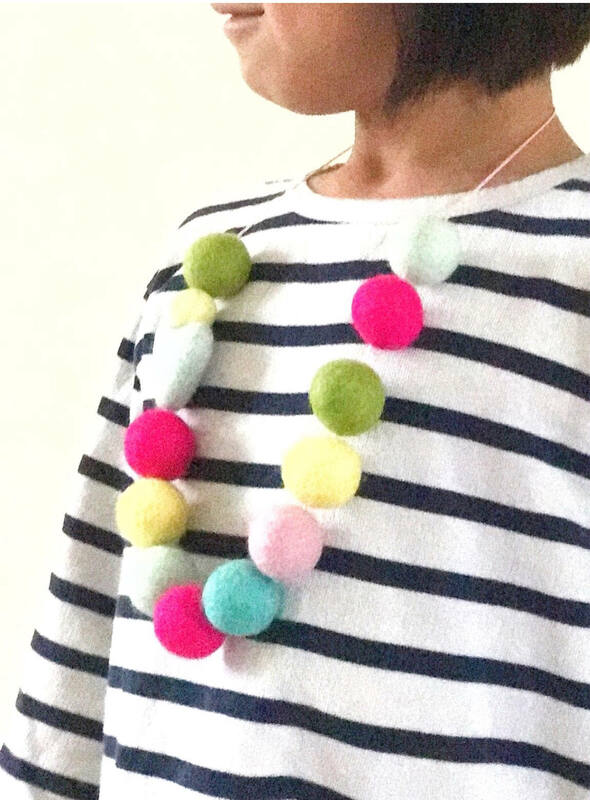 IMPORTANT: This is not a toy and therefore babies and small children must be supervised if they are wearing this necklace.